June 7th is... National Chocolate Ice Cream Day, Daniel Boone Day, June Bug Day, Trial Technology Day, VCR Day, Dean Martin Day, and World Pet Memorial Day (2nd Tuesday). -- With little skill, surprisingly few ingredients, and even the most unsophisticated of ice-cream makers, you can make the scrumptious ice creams that have made Ben + Jerry's an American legend. 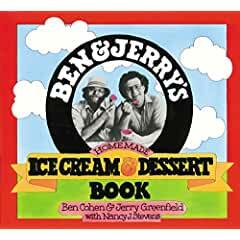 Ben + Jerry's Homemade Ice Cream + Dessert Book tells fans the story behind the company and the two men who built it-from their first meeting in 7th-grade gym class (they were already the two widest kids on the field) to their graduation from a $5.00 ice-cream-making correspondence course to their first ice-cream shop in a renovated gas station. 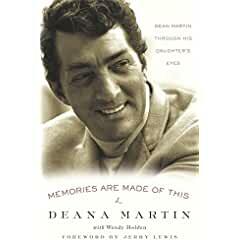 -- Charming, debonair, and impeccably attired in a black tuxedo, Dean Martin was coolness incarnate. His music provided the soundtrack of romance, and his image captivated movie and television audiences for more than fifty years. His daughter Deana was among his most devoted fans, but she also knew a side of him that few others ever glimpsed.